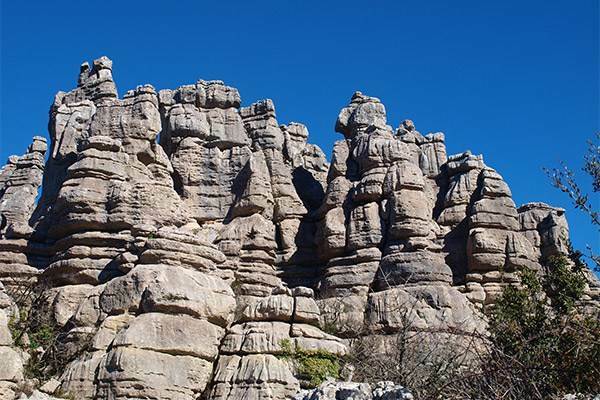 El Torcal de Antequera is a limestone karstic region, the result of 65 million years of uplift and erosion. 65 million years ago the African tectonic plate was creeping in an easterly direction at the rate of 27 – 30 millimetres per year, it still is. The northern part of that plate scraped against the European plate and the much smaller Alboran plate wedged between them. The compression of the landscape caused by this movement over a period of 18 million years created a range of hills and mountains that stretched from Cadiz to Valencia now known as the Baetic Cordillera. Part of the Baetic was formerly on the seabed and was composed of thousands of metres of limestone laid down over millions of years. This limestone was raised bodily and horizontally with the rest of the area. Over the millennia since it emerged the surrounding softer rocks and clays were eroded leaving limestone protrusions rising from the surrounding land. 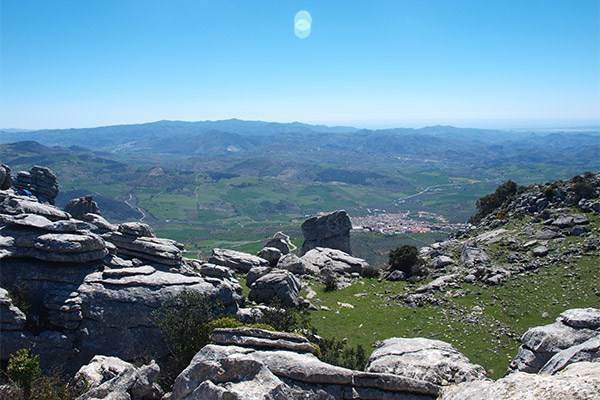 These are pronounced in the area of Antequera, itself at over 500 metres altitude, and one, El Torcal, is now a nature reserve. 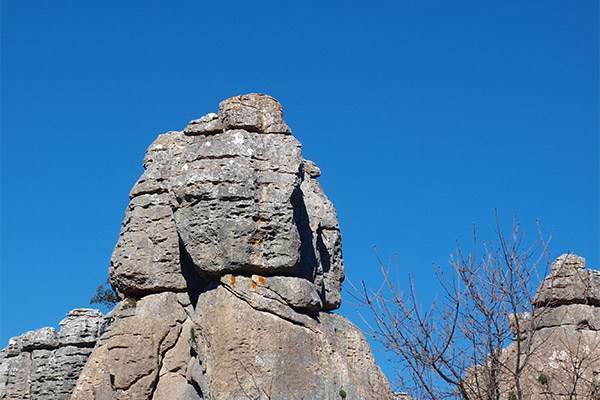 Wind and rain acting on the limestone massif of El Torcal de Antequera has eroded the rock. The erosion started with rainwater trickling down cracks in the rock, dissolving the limestone and eventually producing limestone pavement and then limestone buttresses. Meanwhile, softer limestone and clays were washed out from between the buttresses. Once exposed to the wind the buttresses started to erode from their vertical sides inwards. Some of the strata laid down over those millions of years are softer than others and because the strata is still horizontal the rock has eroded in bands producing the weird and wonderful shapes we see today. Much of the landscape is inaccessible on foot unless you happen to be a mountain goat. This is one of the few places left on the Iberian peninsula where you will often spot the Iberian Ibex (Capra pyrenaica) still living wild. 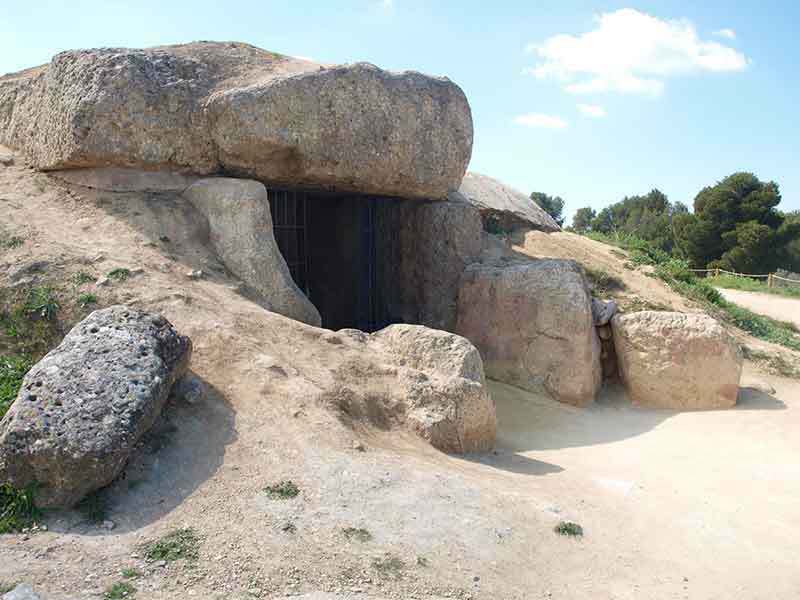 Once prized by prehistoric hunter gatherers who sporadically occupied Cueva del Toro on El Torcal the goats are now as protected as the landscape. 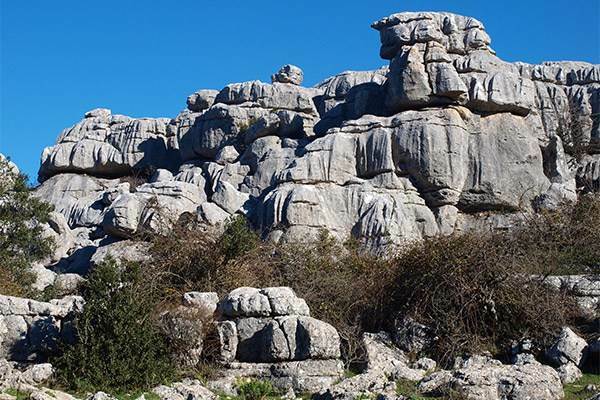 It is hardly surprising that El Torcal has a unique mix of flora and fauna. Other mammals include rabbits, badgers, weasels and foxes. You will also see cattle wandering along the paths, more sure footed than many humans. They are not wild, cattle grazing is the only exploitation of this landscape now allowed. You are not however likely to see many of the lizards and snakes that live in the rock crevices, they know well enough to stay away from humans. Over 650 species of plants, including 30 varieties of orchid, have been recorded on Torcal. Many can only live in the micro climates created in the rock crevices whilst other, more familiar such as peonies, rock roses, poppies and irises provide vivid colour in their season. 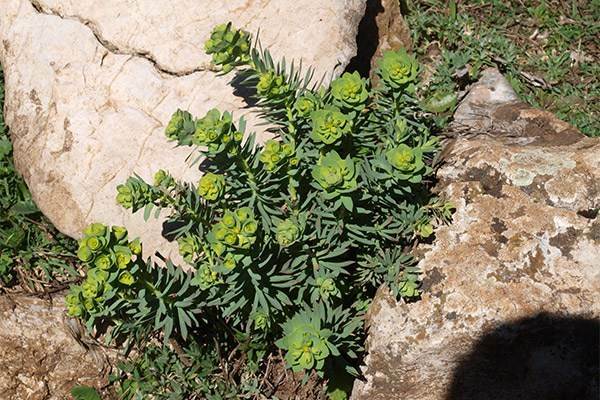 There are four walks that can be undertaken, two on the top of Torcal itself, one, the green walk, about 1.5 kilometres the other yellow walk about 3 kilometres. Both start at the car park alongside the visitor centre and both involve a bit of scrambling which make them great fun for the kids. There do not seem to be any restrictions on where you can go off the paths, no keep off the grass signs, no fences or walls, but be aware this is ankle turning country so even on the paths stout walking shoes or boots are the preferred footwear. 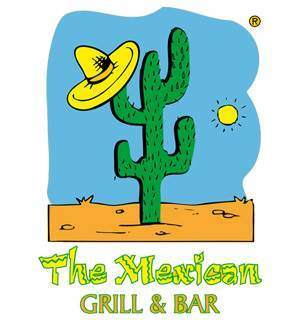 The other two did not exist as such on our last visit in 2009. One takes you from the lower car park, all uphill and much of it on the road, 3.7 kilometres to a formation near the visitor’s centre called el Tornillo, the screw. 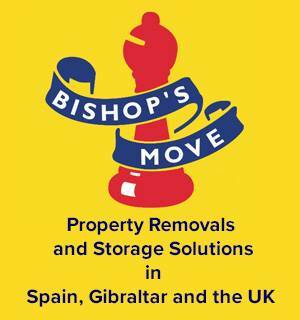 The other takes you from the screw to the visitor’s centre. Torcal has become such a popular attraction that the car park at the top cannot cope with the cars and coaches that now arrive there. It can be full by 11am or even earlier. At that stage the barrier at the bottom of the access road is closed and the lower car park is opened. From there you have two choices, you can walk, hence the now publicised walks or you can take a mini bus for a fee. The advice then is turn up early. For those with less energy, from the Visitors Centre it is a 100 metres flat walk to a mirador that overlooks Villanueva de la Concepcion. On the horizon is the Mediterranean Sea at Malaga. The Visitors Centre is worth a visit with a decent display explaining the geology and history of the region whilst the cafe provides much needed refreshment. There is also an observatory mainly used for research that allows, on request, visitors to gaze at the sun through filters. The observatory is also open to the public at night. Groups of 10 can study the stars, moon and planets for two hours for 8 Euros per person. generally the observatory is open on Sundays during the day and Saturdays and some Fridays at night. All visits to the observatory have to be booked in advance by mobile phone: 600 703 700 or email: oat@auladelcielo.es.